At the Annual Taxpayers Against Fraud Conference, the SEC’s Director of Enforcement gave a speech about the Securities and Exchange Commission whistleblower program. The “bottom line”, according to the Director, is that the Securities and Exchange Commission whistleblower program “has had a tremendous impact.” He emphasized that SEC whistleblowers “provide an invaluable public service”. The Securities and Exchange Commission whistleblower program has had a “transformative impact” in terms of detecting illegal conduct, moving SEC investigations forward, and enabling the SEC to pursue cases using fewer resources. “My general message to whistleblowers is to report as soon as you learn of misconduct,” he said. 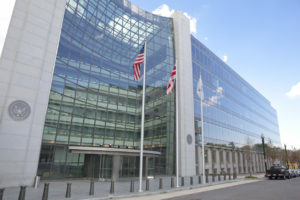 According to the Director, through the end of fiscal year 2015, the SEC had issued Preliminary Determinations and Final Orders in connection with more than 390 claims for SEC whistleblower awards. 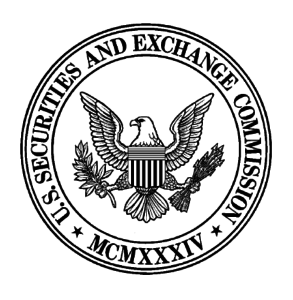 As of the date of the Director’s speech, the Securities and Exchange Commission whistleblower program had paid out over $107 million in SEC whistleblower awards. The SEC whistleblower rules prohibit employers from retaliating against SEC whistleblowers or impeding them from communicating with the SEC. Discussing the SEC’s efforts to enforce SEC whistleblower protections, the Director noted that the SEC had already brought four cases against companies for impeding SEC whistleblowers’ communications with the SEC, and one for retaliating against an SEC whistleblower. offering frauds and ponzi schemes. The SEC’s main office in Washington, D.C. The Director expressed his approval of whistleblowers hiring SEC whistleblower lawyers to represent them. He even made a point of devoting an entire section of his speech to the role of an SEC whistleblower lawyer, and the ways in which an SEC whistleblower lawyer can be helpful to both the client and to the SEC. “One thing I get asked about a lot is how we view whistleblower counsel. It will come as no surprise to this audience that we welcome the involvement of counsel in whistleblower tips,” he said. While whistleblowers can engage us without the assistance of counsel, counsel experienced in whistleblower representations can help with up-front triage of tips to identify those that have a nexus with the federal securities laws and that may have merit. And they can work with whistleblowers going forward to identify information that will be important to us and that will allow us to advance our investigations.